Google AdWords, now Google Ads, is one of the most valuable marketing tools available to roofing contractors throughout the United States of America … as long as it is correctly utilized. The flipside of PPC for roofers is that it can be a waste of money if managed by a novice without previous experience in paid advertising campaigns. Attracting clicks, acquiring leads, and converting customers is the goal of most roofing companies online and regularly achieving anyone of them requires marketing savvy, let alone all 3 of them. 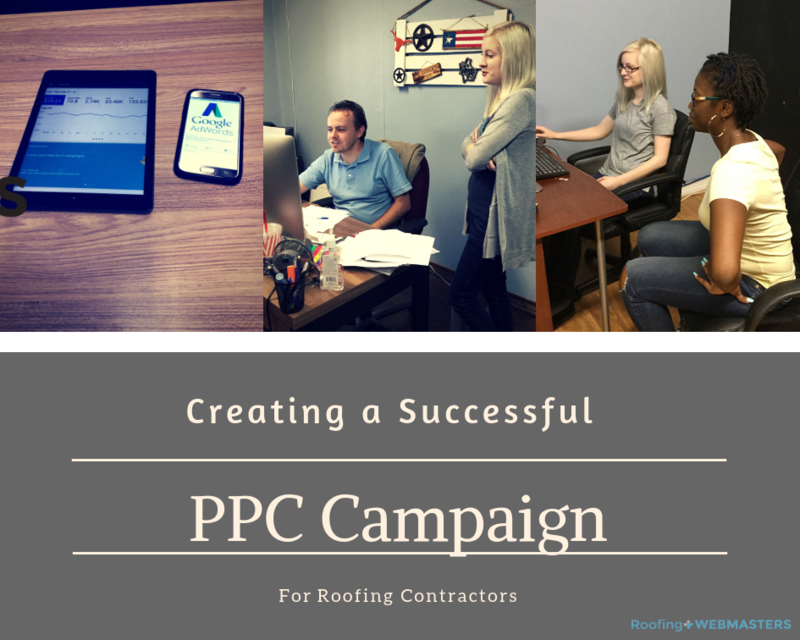 With that said, creating a successful roofing PPC campaign can pay major dividends. With nearly a decade of PPC management experience, Roofing Webmasters has gained knowledge about the elements that make up a successful roofing PPC campaign. Because our company specializes in roofing advertising, we understand the nuances of an industry-specific campaign and one that targets the type of searchers that are likely to convert into paying customers. Our findings are based not on theories, but on a near decade of research from some of the top roofing internet marketing specialists in the nation. We have Google Ads Certified campaign managers on-staff, ready to assist your roofing company in meeting its goals for 2019 and beyond. Budget estimates are based on two main factors; past experience and projected goals. When determining an initial budget, roofing companies will want to work backwards. Start with the end goal which is likely a certain cost per acquisition (CPA), which could be based on a percentage of a sales conversion. 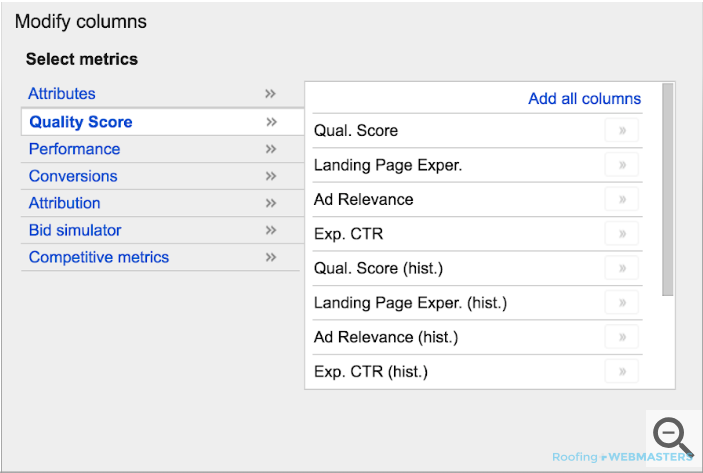 By crunching the numbers, you can determine precisely what the cost of a lead from Google Ads should be for one of your roofing advertising campaigns. The more campaigns you run, the more data you will collect that can instruct and inform subsequent campaigns in the future. Measurements help roofing contractors adjust based on real-time information. Adjustments can positively influence ROI for advertisers and help them earn more revenue. A roofer’s responsibility does not end after the campaign is launched. Instead, successful campaigns necessitate continuous adjustments. Measurements can be both quantitative and qualitative in the case of Google Ads. Quality score is an example of a qualitative measurement while Click Through Rate is an example of a quantitative measurement. Both variations should be equally analyzed. 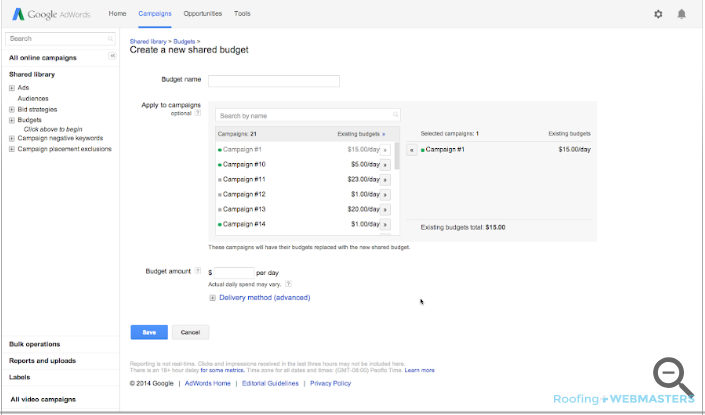 Google’s Keyword Planner aids much of a campaign manager’s research needs for Google Ads campaigns. But other tools can also help identify high opportunity terms in which roofing contractors should target in their respective campaigns. Some of the tools that come to mind are SEMRush, SpyFu, and MOZ. These tools are not free of charge like Keyword Planner is, but they do provide extensive breakdowns of keywords and their relative cost and opportunity in the context of Google advertising. You can be almost certain that your main competitors are utilizing one or more of these tools as they attempt to secure the top ad space on Google for related search terms. Remember, Google chooses ads based on relative competition.